I'm in my hometown for a few days because it's the week of my 21st and so having a big family meal tomorrow. I am then going back up to Lincoln on Thursday to get very very merry. I can't believe I'm turning 21 and it's my final year of uni. Time really does fly by! Excuse the midget feet and stumpy legs in this picture. This pinafore looks far more nicer in real life. Oh and another thing. I can't believe how cold it has become! Jumpers and coats, come my way! Oh and finally, excuse the lyric, Pitch Perfect makes me happy. You look fab! The pinafore is lovely. The cold really has come from no where though hasn't it?! My onesies and hot water bottles have officially made a return! 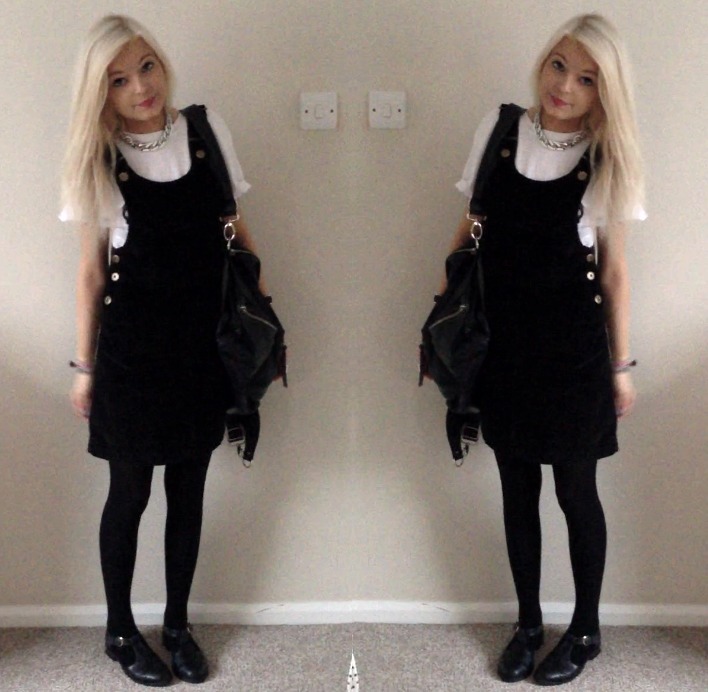 Love your pinafore and your hair is so pretty! You look so cute, love this beautiful outfit.